NEW YORK - June 15, 2018 - PRLog -- As part of their celebration of Caribbean-American Heritage Month, the nonprofit organization Braata Productions is hosting a "Theatre Weekend Double Header" featuring two powerful one-woman shows the weekend of June 22 to 24. The two plays include "The Growing/Dying Tree," created and performed by Marcella Murray, along with "Take me baby or leave me: An epistemological study of a black woman's 492 year transition to the United States," created and performed by Myra M. McPhee. The Theatre Weekend Double Header event will begin on Friday, June 22 with a gala opening at 8 p.m. at the Jamaica Performing Arts Center (153-10 Jamaica Ave in Queens). The two performances will then completing the run in Manhattan Saturday, June 23 at 8 p.m. and Sunday, June 24 at 3 p.m. at New Perspectives Theatre (458 West 37th Street in Manhattan). Marcella Murray is a recent theatre MFA graduate of Sarah Lawrence College. 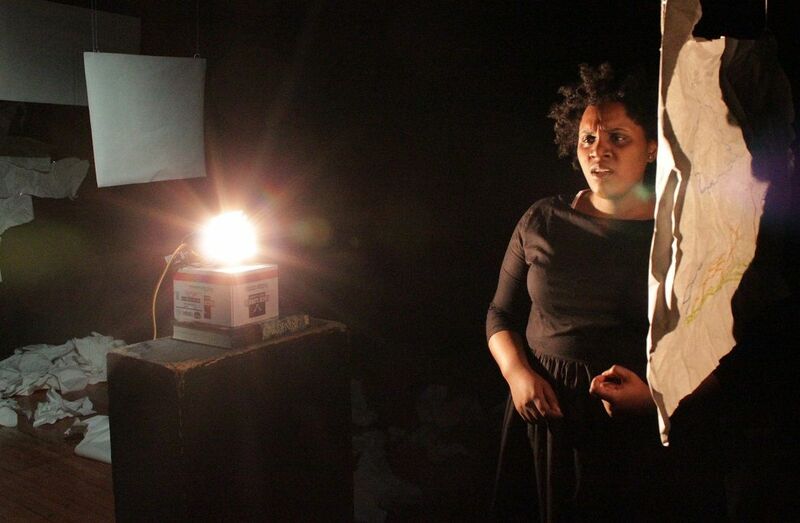 She is a playwright, performer and puppeteer currently focused on devised work. A Georgia native, her work is heavily inspired by the ways people often become segregated and the uncomfortable ways they attempt to reconnect. Her work tends to center on themes of identity within a community and (hopefully) forward momentum in the face of trauma. Murray's play, The Growing/Dying Tree, is an exploration of a black American woman's relationship with America through the lens of love songs. Myra M. McPhee is a playwright, director and performer from Nassau, Bahamas. Her work revolves around social justice with a particular focus on the intersections of black, immigrant, and queer experiences. Take me baby or leave me explores how a woman's journey in the United States builds upon the work and experiences of her ancestors. It also examines the roles of community and isolation for immigrants as they navigate life-changing transitions. Inspired by real life experiences, Take me baby or leave me uses abstract storytelling, allowing the audience to see the internal. "Our Theatre Weekend Double Header event promises moving performances punctuated by comedy and powerful storytelling," said Braata Productions' executive director Andrew Clarke. "We are proud to provide a platform for these two amazing artists to share their incredible work." Learn more about Braata Productions' Theatre Weekend Double Header at https://www.braataproductions.org. Braata Productions, founded in 2009 by actor/singer Andrew Clarke, is a nonprofit Caribbean performing arts and education organization dedicated to showcasing Caribbean culture, history, lifestyle, traditions, and customs through folk music, arts, and theatre. "Braata" is a Jamaican colloquial term meaning "more." In this spirit, Braata Productions gives its supporters and audiences something more at all times, entertaining and educating audiences of all ages about the rich historical and cultural traditions of the Caribbean region. Learn more about Braata Productions at https://www.braataproductions.org. Follow Braata Productions on Facebook, Twitter, Instagram and YouTube.